The website I used to make my ePortfolio on is Weebly. Weebly offers many functions to allow the user to make any sort of website easily by using widgets. 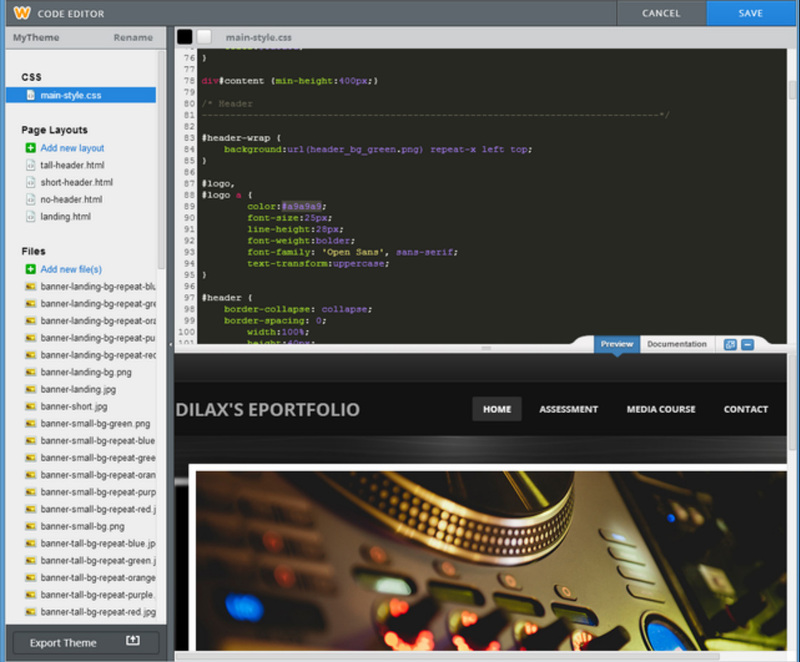 For advanced users, there is an option to use HTML coding to make the site so anyone can use Weebly. As I haven't learnt HTML coding, I used the widgets and changed a few features using the HTML function. 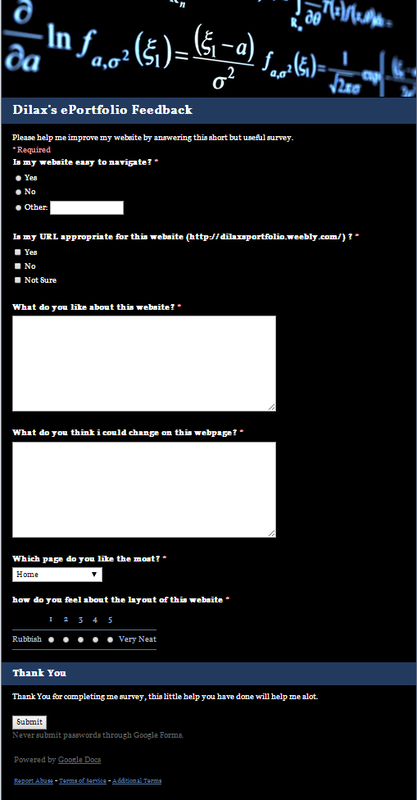 To organise my site, I have used many of the widgets provided by Weebly. My favorite widget is the 'Coloums' widget. It splits any section of the page into 2-5 coloums. This is really helpful as it minizmises the blank spaces on the page. It also allows me to match pictures up with the writing without having to stretch the image so it fits the page (decreasing the quality of the image). The divider widget is also commonly used to organise a page as it splits up sections of text so the reader knows when the context has changed. I chose the domain dilaxsportfolio.weebly.com because it is simple and easy to find as it uses my name and the type of website I chose to make. The reason why my URL has weebly.com as the end of it is because this domain is free. If I wanted to take away the weebly.com, I would need to pay Weebly annually. 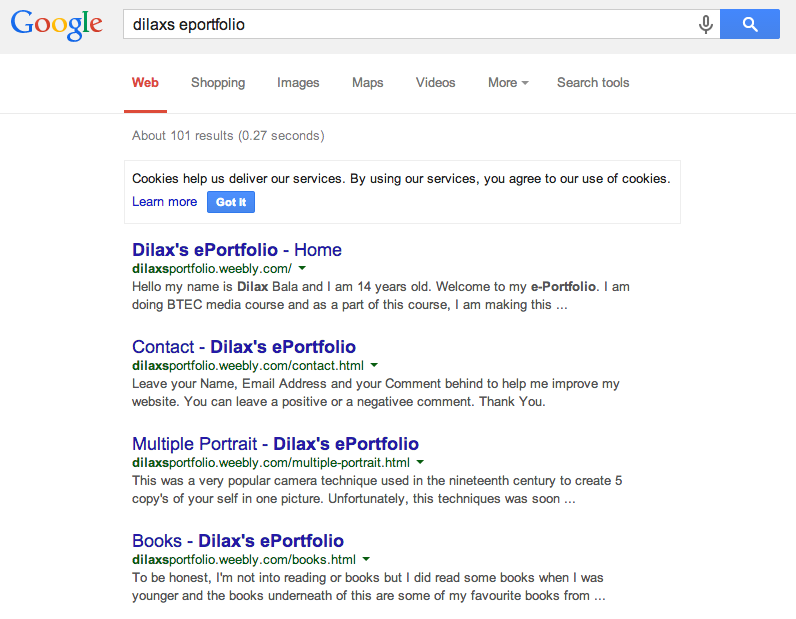 Although my domain 'dilaxsportfolio.com' is available, It is pointless for me to pay annually as this option is more useful for professional uses. The reason is because it makes the URL shorter and also shows the users that this site is owned by the company or professionals. It also means that they will not be advertising Weebly by having weebly.com at the end. Weebly also offers an option to link this site with an existing domain that I own (I don't own any domains) which can be useful for professionals. To allow anyone to find my ePortfolio easily, I used a function in Weebly called Search Engine Optimization which can be found in the settings. 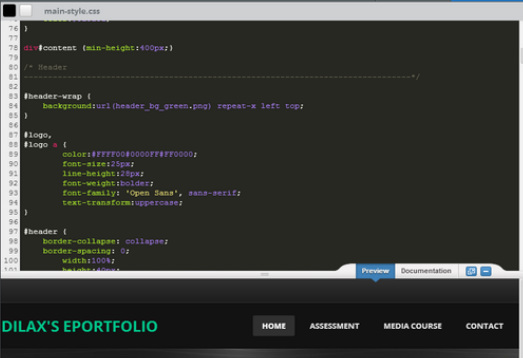 I used this function to type in keywords associated with myself and this ePorfolio. If these words were typed into a search engine such as Google, My ePortfolio would be in the results with multiple options leading to different pages of my porfolio. For the web authoring I analysed two sites that I thought were good and two sites I thought was bad. I looked at the layout and the usability of the site. Most websites have a good layout and a decent colour scheme which doesn't disturbe you. This is what I wanted to do on my portfolio so that it is usable. I went with a simple theme and layout, then used a black background which contracts the body so my work stands out and is easy to read. The layout is simple and interesting so that users doesn't find it boring and doesn't have to read large quantities of text without a break. I used many pictures/screenshots to show what I did on each page which makes each page more interesting. For my blog, I used a website called Tumblr. The reason why I chose tumblr to make my blog on is because Tumblr is a well-known website and has a good reputation. This means there is more chance more people will visit my blog as most people have a Tumblr account. This allows them to follow and keep updated with the posts I make. I use Tumblr to blog on and keep my views updated on my Media work and what I am doing at the time. To get the HTML colour codes, I searched 'HTML colour codes' and used the colour chart from the first site that came up (HTML Colour Codes) The colour chart of this site allowed me to pick any colour and any shade of the colour. 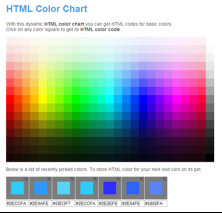 This was really tool was really helpful as I don't know any HTML colour codes and this chart gave me all the codes. There is also a useful feature at the bottom of the colour chart which shows you the codes of the colours you pick. This means you won't have to look for the same shade of colour again when you have to type in the code more than once. While I was trying out different colours, I accidentally copied and pasted in the colour code next to the original colour code. From this mistake, I learnt that I was able to type in two colour codes and it would mix the two colours together. Then then decided to test whether three colour codes would give me a mix. I tried red, green and blue which should of given me white but instead, it stayed a different colour from the mix of blue and green. This meant that only two codes can be mixed. Although this was something new, it wasn't really useful and I didn't use it as it was easier to pick out the colours from the website. I might be able to use this in the future when I learn how to use HTML in more depth than by my self. I have structured the site so all the pages are located at the top in the navigation bar. This makes it easier for the user as the user can easily check for a certain page their looking for using the menu/navigation bar at the top. I have used drop-down menus to improve the visitors experience as the drop-down menus allow me to put each page into a certain category. This means less space is taken on the menu bar but all of the pages can be found easily. Pages which have things in common with another are put together as it is most likely the visitor will want to see each of the pages so putting them in the same sections allows the user to find the page easily. I created two pages on my eporfolio dedicated for contact. The first page is the contact page. It has section where anyone can contact me by giving me their contact email address, name and their message. I could then reply back to them using their email. This section is used if the user wants to inquire/ask me about anything regarding my ePortfolio. The second page is the feedback page. This page has a Google Form which has been designed by me to get feedback from the users about their experience on my ePortfolio. There a couple of simple questions and space to give written feedback so the user can give me feedback on what I can improve on. Before completing my ePortfolio, I used the feedback I got from the viewers to improve my site. I did this my getting the results from my survey and analysing them. I used Google Form to gather the results and put them into graphs so it is easier for me to analyis. 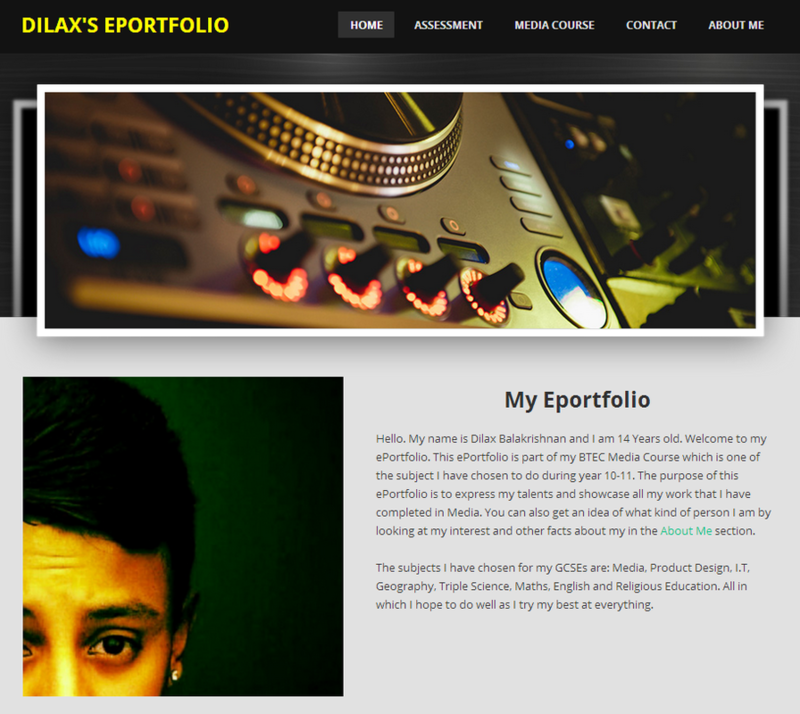 The style I have gone for on my ePortfolio is a modern style. I used simple but effective colours and a simple layout. I used a theme which has a black wood style background at the top and one Header picture. I think my theme works well as it is simple but interesting. 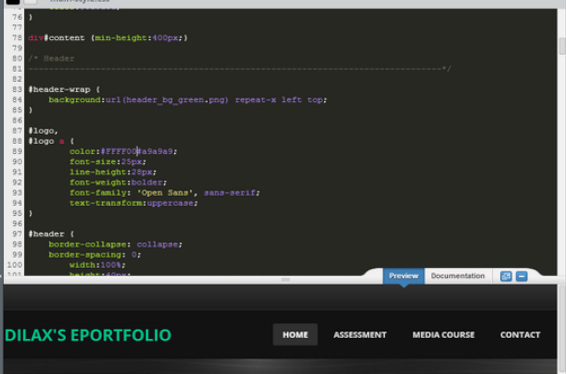 My favioutate page out of my whole ePortfolio is my Home page. The reason is because It is short and simple just how I want everything to be. 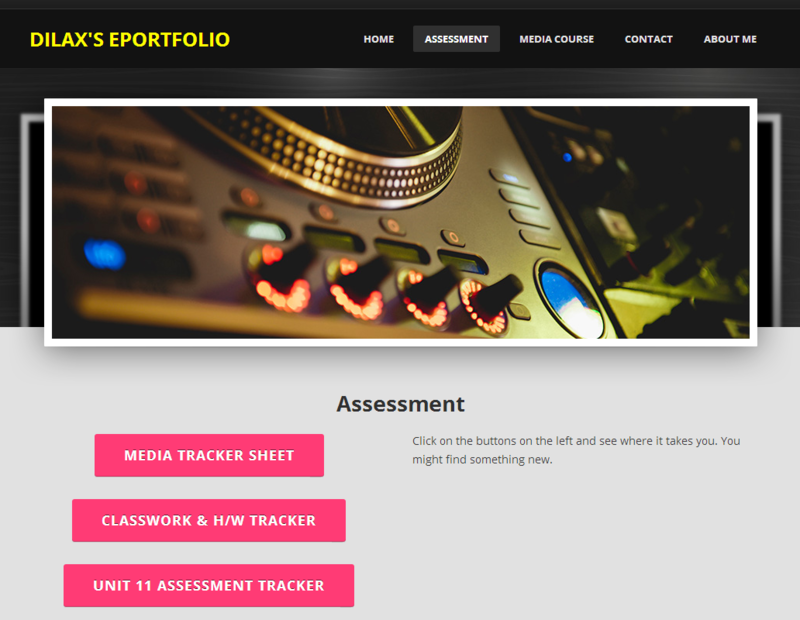 It gives a small portion of information about this ePortfolio and me which will mean the reader will want to continue to further look in to my ePortfolio. My Assessment page is my least favorite as it has hardly and information on it. This results in all the blank space which does not look nice. Other the other hand, I cant add any information to this page as this page is designed to be show my progress during the media course. This page has button which will bring you to three different Google Docs files. Overall, I believe my website has been successful and i have achieved the simple yet modern style. On the other hand, If I had more time, I would be able to improve my knowledge on HTML/CSS and improve my theme or maybe create my own theme. I would also be able to go back through every page and improve it so it is the best it can be as I have learnt many more things as I get closer to the deadline. This meant that I didn't have enough time to go back and improve some of the pages. I would also have liked to get a bit more experience on photography and editing.